What paperwork and items does your family need to get a hold of if you are ever incapacitated? What's your family's procedures for handing emergency situations when everyone is away from home? Heavy storms? Power outages? Planning for emergencies is the best way to ensure you've been responsible for everything under your control when things get out of your control. In this week's episode the gruesome twosome baton down the hatches and hunker down for emergency planning preparedness. Grab your manual crank radio and listen in. 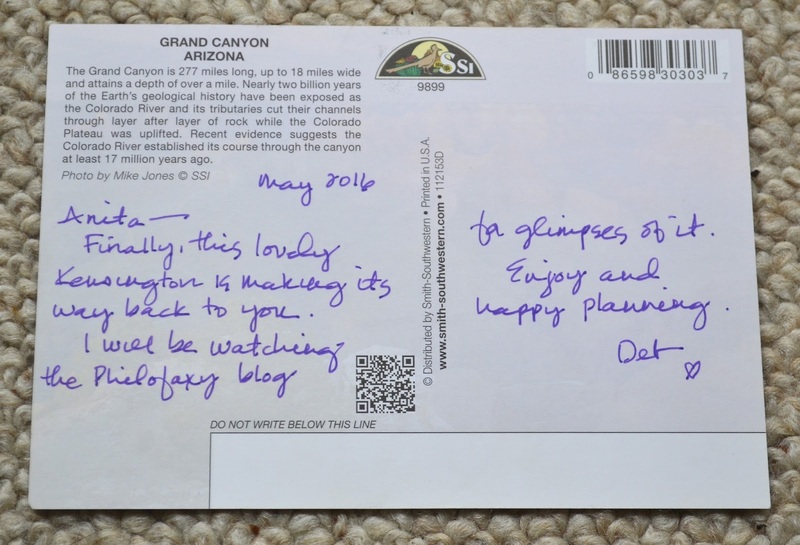 Thank you to Lynn for this guest post. Lynn has her own blog over at My Filofax Blog which has featured a lot in recent web finds posts. The generation of Baby Boomers is now nearing or is already at retiring age. Having lived through the ‘swinging sixties’ many of us are still going strong, loving life and looking forward to many more years ahead, albeit with a mountain of pills and replacement bits and pieces. During my working life my organisers were all to do with my work in education and I never contemplated using one in my home-life. I wanted to step out of the rat race and leave all that behind. 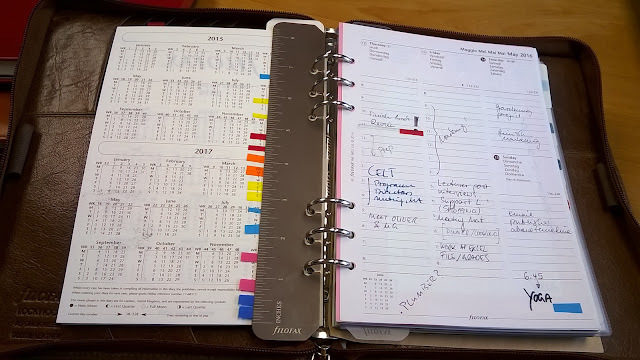 After retirement I happily pursued all my hobbies and it was only by chance that I acquired a Filofax style personal planner from one of my forays in a Charity Shop. That planner started me on my Filofax journey, researching different sizes and types of planners, set-ups and ways of organising. 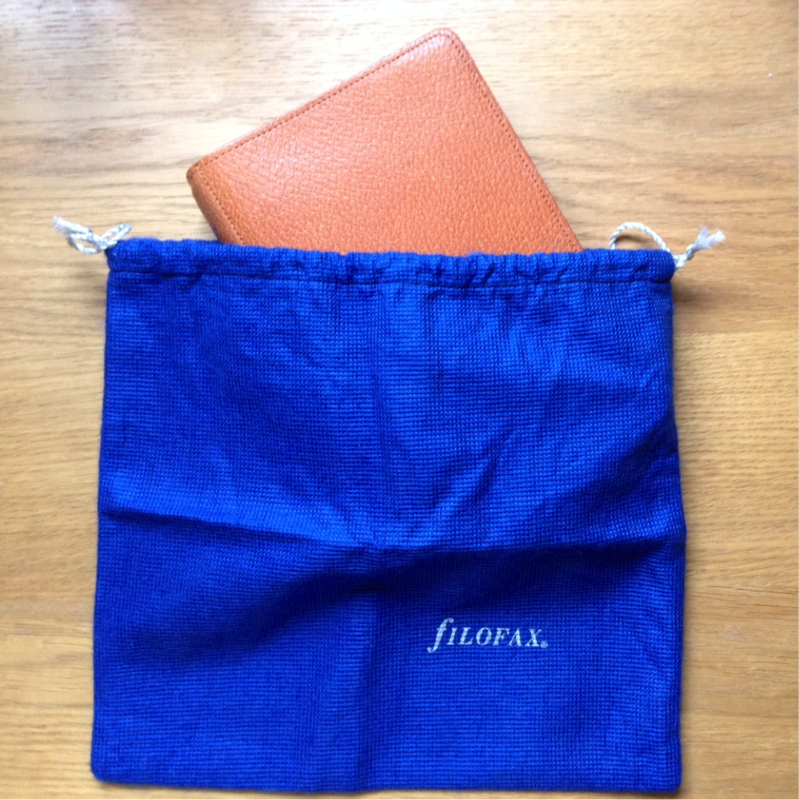 A new world opened up especially when I found Philofaxy and saw that others shared my enthusiasm for a Filofax. Needless to say my first proper Filofax followed the look-a-like and a new hobby was born. Who would have thought that I would still enjoy using my working skills - organising, categorising, researching, planning for projects, filing and juggling commitments in my retirement years! I now own (ahem) more than one Filofax and the collection continues to grow as I find ways to use them all. By far the main way of using the Filofax is as an organiser and planner of everyday life and I read mostly articles written by the younger generation, people using a Filofax to run a busy home, organise work or student life or run a business. 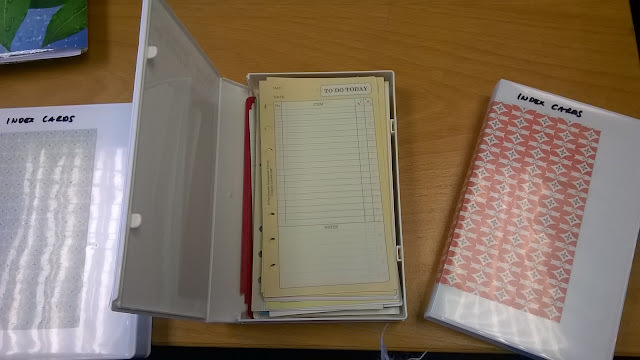 There are not many articles, blogs, vlogs or YT videos produced by us ‘oldies’ showing a Filofax in action for our age group, although thank you to the wonderful ‘older’ lady on YT who showed off her Filofax containing her bus pass, medication list, and shopping trolley coin - you inspired me greatly! I have often wondered how many of us baby boomers benefit from having a Filofax in our lives, how many call in here looking for inspiration? Our generation still enjoys fashion, music and alternative ideas. We like to live life to the full and with innovative planning and organising in a Filofax we can achieve this and so much more. Hope to be chatting with you on Sunday 3 July 2016. 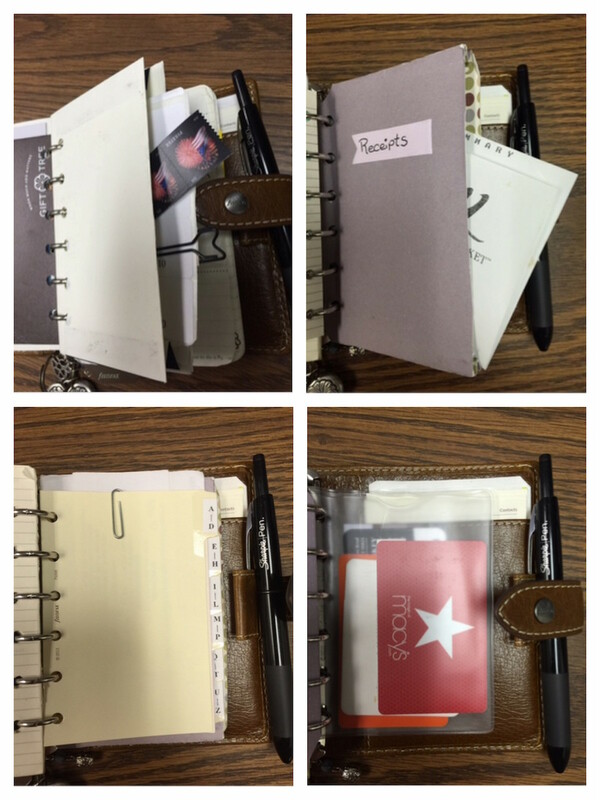 Thank you Tina for sharing how she uses her organiser. I am a Lecturer / Researcher in Cultural Studies/ German Literature at an Irish University (originally I am from Germany) – and I am part of the generation that transitioned from the analogue to the digital age very consciously. When I was a student I constantly worked with some sort of binder system, because I might have had different classes on one day and didn’t want to carry multiple notebooks. Also binders made it easy to incorporate hand outs and library receipts directly. These were simple bulky a4 planners though, and they were a pain to carry around. Right when I finished my Masters and started my PhD project in 2000, emails came up and library computers could suddenly be accessed off campus. More and more content could be saved digitally (since storage systems changed so quickly though, I still have my old notes on paper, but there is a 5 year gap of material from 2000-2005 that I can no longer access. Also in 2008, just when I had started a new job, somebody had hacked into my email account and had deleted all mails (which I had used to send myself work in progress and teaching materials I was intending to use at my new place). It was then when I decided to go back to some sort of paper system, at least for the most important drafts and reusable elements of teaching units. I struggled for many years with different notebook systems, hating their inflexibility and messiness (despite of all sorts of indexing hacks, it bugged me that I could not differenciate between temporary notes and notes intended to stay – either the notebook filled up too quickly with information that I didn’t need anymore – making the more important information hard to find, or I started to tear out pages, which wasn’t pretty), yet enjoying their low weight and transportability. It was only at the beginning of last year that I came across Filofaxes, when I was looking for lighter and prettier versions of binders. I knew of course that they existed, but for some reason it had never occurred to me that they could be used for different things than just hosting a diary and contact pages. As soon as I had realised their potential for me, I was hooked. I had started with the idea of having one binder for “everything” and since I was very pragmatic and budget conscious at the beginning, I just bought an a5 domino. Then I realised that there was information in it, that I should not carry around (in case it got lost), such as marks of students or short notes to their performances in assessments. I now have a “teaching binder” (still the Domino), and a “current research project and grant applications binder” (an Original in a5) in my office, and a “house/garden project binder” at home (personal Original). I also have an a5 “master” binder open on my desk that contains detailed scheduling, the most recent notes to my research project, health and exercise notes, career planning, renovation/ gardening projects, and my master to do list; even a section for my husband who tends to scribble things important to him on random lose pages that then end up at even more random places – so I secure them there whenever I happen to find one. This binder (an a5 Lockwood) is my brain extension and brain dump in one. When I am away for more than a few days I can grab it, zip it, and know that in it is all I need. It is, however, very heavy, and therefore I am also using a 2 level satellite system: Level 1 is my senior Van Der Spek which is my everyday companion. Its format is perfect because I can easily take out the a5 pages that I need in the current week, punch them at the top and fold them in (it’s exactly a6 format then). In its big backside pocket I can also fit a5 pages or folded a4 pages – of which I get many in meetings or seminars during a normal day. 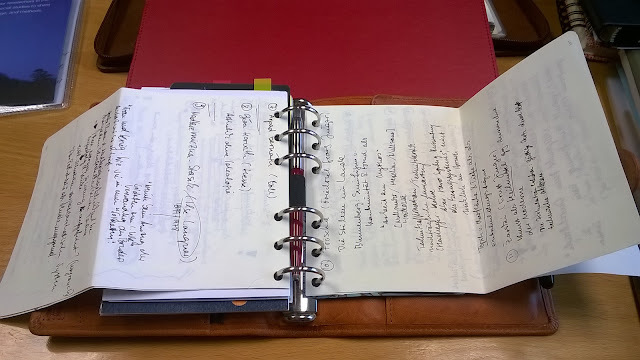 It also perfectly hosts index cards, which I use to learn Irish – so I can take the words and structures that I want to learn in the current week with me and make use of unexpected waiting times. 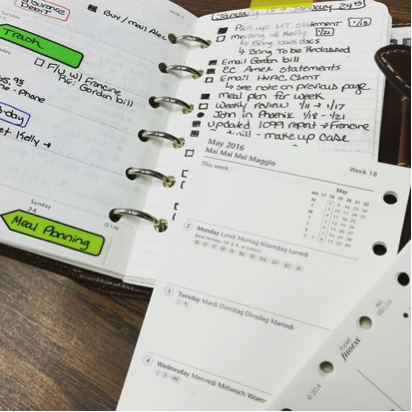 but once the future comes closer I need more structure and less distraction, and I am using the vertical appointments inserts that the planner came with, to plan out my exact weekly schedule one or two weeks in advance. Practically all of my completed tasks somehow translate into an email that I have sent off or something that I have submitted online somewhere (with an email confirmation in return), or a book or article I have published, so that I have neither desire nor need to keep old diary pages. Hence what I do is I transfer my current week from my Lockwood to my Van der Spek, and once the week is over I tear it out and throw it away. Oh, and level 2 of my satellite is a terribly unpractical little vintage wallet organiser (a Lincoln from 1989). It was a very lucky eBay find (sold for almost nothing by someone who didn’t know what it was) and I am only using it when I want to go out without a bag. It just contains a credit card, some cash, my emergency contact, health insurance card, driving licence, some phone numbers, and a bit of note paper. It’s something that slips easy in a jacket pocket without bulking it. 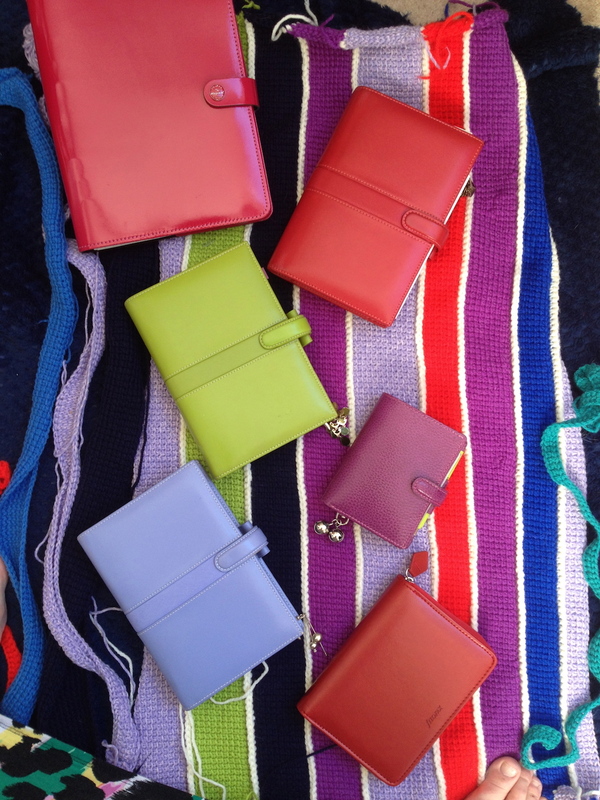 And it’s the lightest and most stylish way to carry note paper around! As for other items: I keep bus tickets, stamps, plain envelops, some cash, important receipts, café bonus cards and colour coding stickers in my planner. I don’t “decorate”, other than using pretty post cards as dividers. When it comes to my task list, as soon as a task comes in that requires more than an hour of work, it goes on my master task list, and if it needs an hour or less, I schedule it by putting it on a post it note and stick it in my diary at the first time I believe I will be free to do it at the right time of the day. 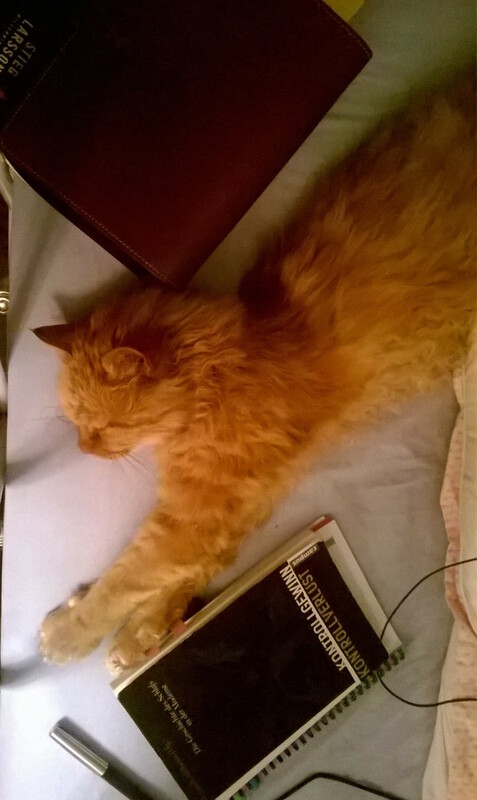 If it’s a routine task, I will stick it to a free spot in the late afternoon, if it’s a task that requires alertness and focus, I stick it on the next free morning. Also, when I am planning bigger projects I break them down in steps that I schedule long term, so there normally wouldn’t be many “free” time slots available, however I try to keep at least an hour at each work day schedule unplanned for sudden emergencies. If no emergency occurs, I will look for such post it notes in the following days and will get it out of the way, and I do the same when an appointment is canceled – at least in theory, often enough I end up just enjoying some free time. 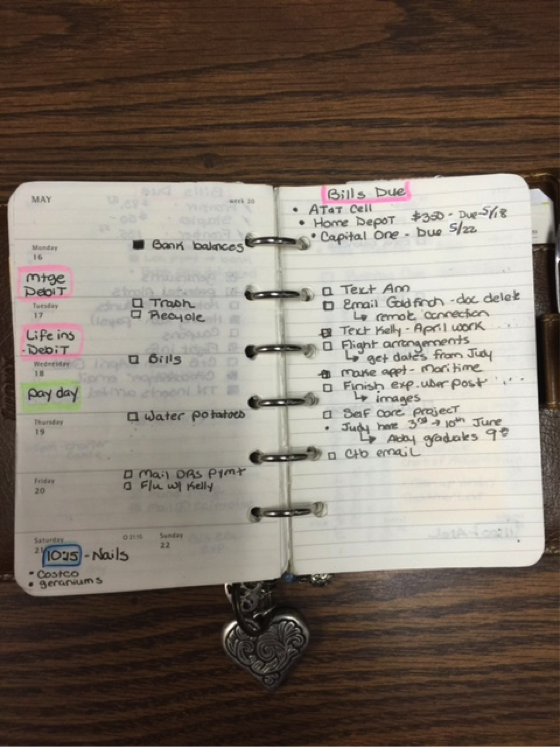 I am using a simplified version of GTD to keep my desk and my mind free. Every piece of paper or task-bearing email that comes in, goes into a “month” folder – this can be a bill that has to be paid or a conference call of an event where I want to participate. I don’t use different categories here but go strictly by the time in which something has to be dealt with. Once that month is close, usually at the last weekend of the old month, I grab the folder and schedule the tasks or do small things such as payments straight away. That way I stay on track of things, without letting every incoming thing interrupt my flow. It is important, however, when dealing with deadlines, to put things in the right folder – not the one in which the deadline expires, but the one in which I need to start working at it, to be done in time. I am archiving relevant pages of planners that have become too bulky in upcycled vhs tape covers. I found out by accident that they have the perfect size for a6 as well as personal inserts. 6. 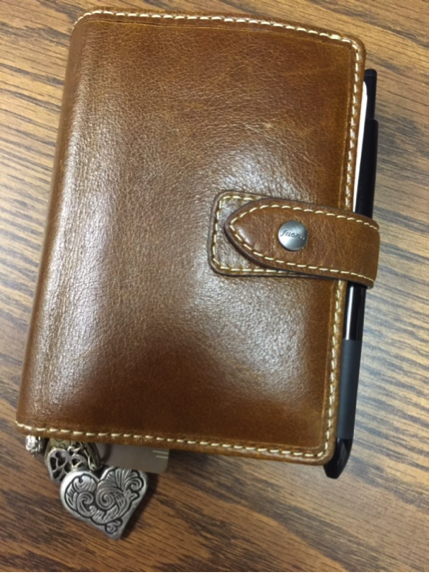 Do you use one binder or several, and if several, how do you use them? As mentioned above I am using different binders, but each of those is represented as a section in my master binder with its most current work in progress. 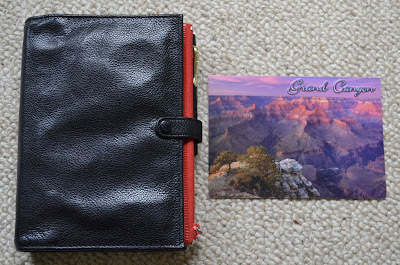 My master planner is like the narrowest point of a Japanese fan: very stable, very concentrated, connected with every section of my life – and from there the other planners spread out in their distinct areas. And whenever a new area becomes very bulky I know that the time is ripe for this area to deserve its own planner. Of course I could just get some cardboard office supply folders for it – but where would be the fun in that? Also I tell myself that since all of my planners but two are kept stationary – well, most of the time anyway – and are therefore in perfect condition, it should be possible to resell them, should I once end up impoverished and be buried underneath the weight of my planning. Iskolai szünet a “filofaxban” - FilofaxNi! Welcome to our weekly roundtable! Do you have a section in your organizer that's completely freeform? Blank paper for doodling? Lined paper for idea capture? How have you used this section in your life? Of course, since it's Friday, all ring-bound organizer-related conversation is welcome! 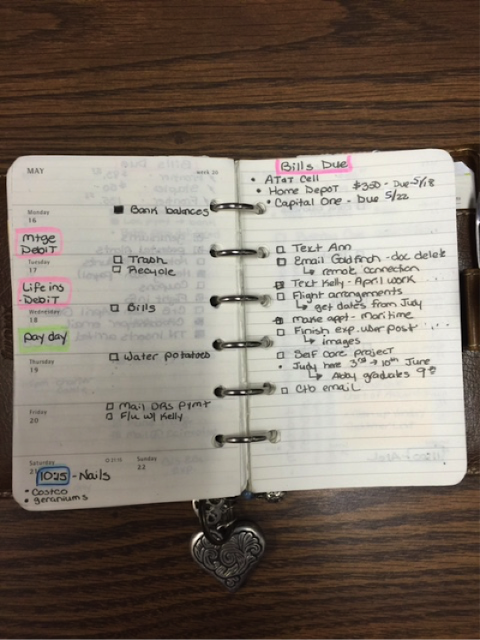 Managing Finances In Your Planner. Money, Money Money! How to track the vast quantities you have you ask? Well, ask no more! In this week’s episode Steve and Karine reunite for another epic journey into the innards of a planner where finances, cash, cards and the like live (and hopefully breed when the lights go out). Sit back in a comfy seat, get yourself a refreshing beverage and turn up the volume on Managing Finances In Your Planner. 03:00 - Where will you be using this information? What size to use? 05:00 - What is safe to carry with you? 27:30 - What is on your To do list this week. 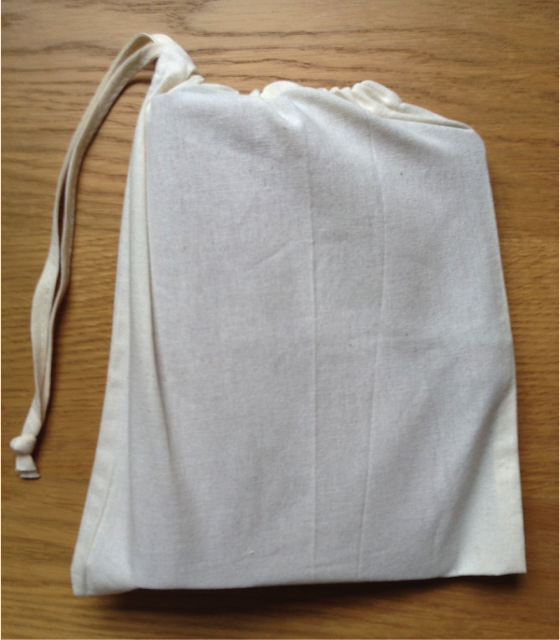 Yes - you really are reading an article about dust bags, and I really have written one. I can only reflect that Filomania knows no bounds! It’s quite common for high-quality, leather items to come with a protective bag for use when storing or transporting them. Typically the material will allow some air permeation, to help avoid mildew etc. 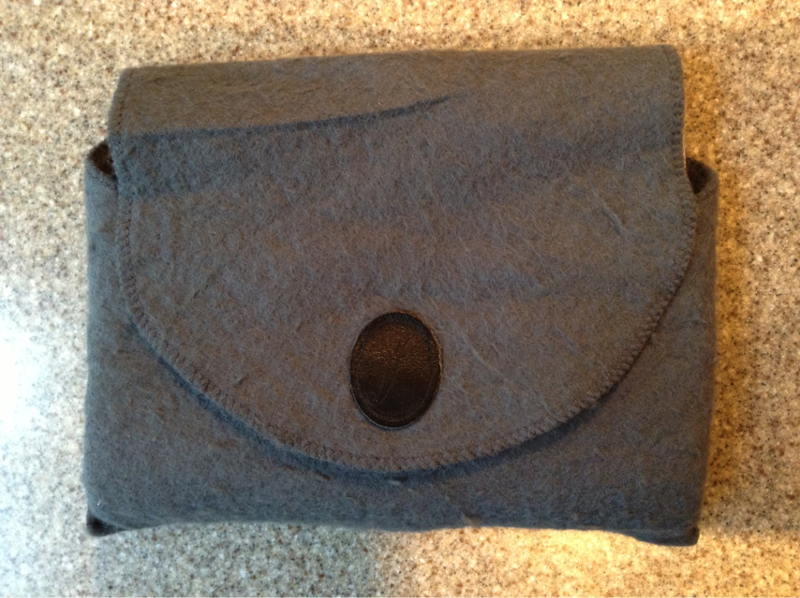 As well as keeping the dust off, a bag helps to prevent dents and scuffs on the leather. However, I’ve found such protection is less common for Filofaxes. Back in the 1980s some of the most expensive models did come with a “protective felt pouch”. 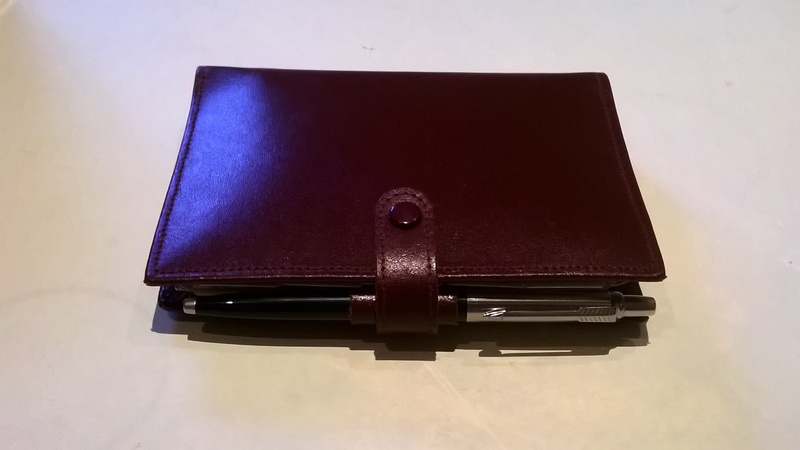 This one contains a 9KLF “Grosvenor” kid leather wallet. At some point I acquired another bag, this time with a drawstring. I don’t know when it dates from or what model it would have been supplied with. If anyone can provide insight then please do so. What options exist on the market today? 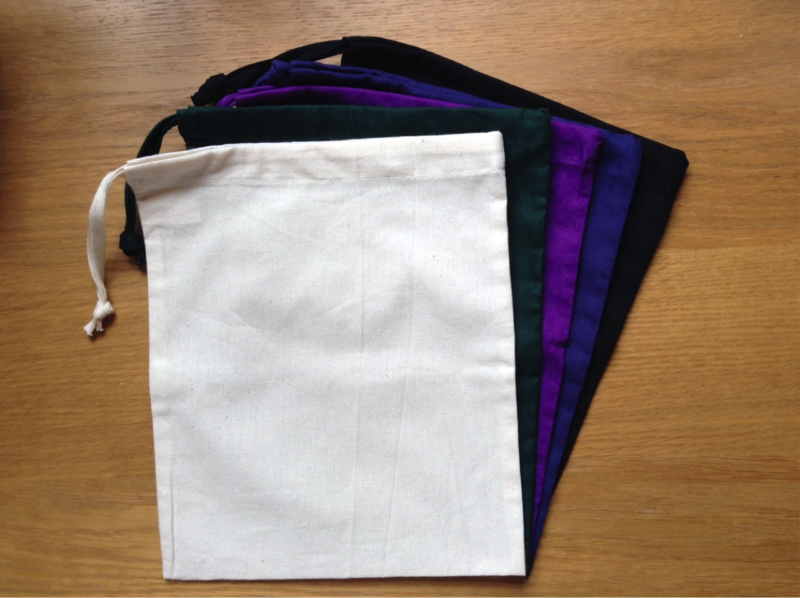 For personal size (which I use pretty much exclusively), I’ve found that cotton drawstring bags 20 by 24cm are ideal. I got these ones on eBay recently. They are large enough for a 5/4” Winchester, as shown here. 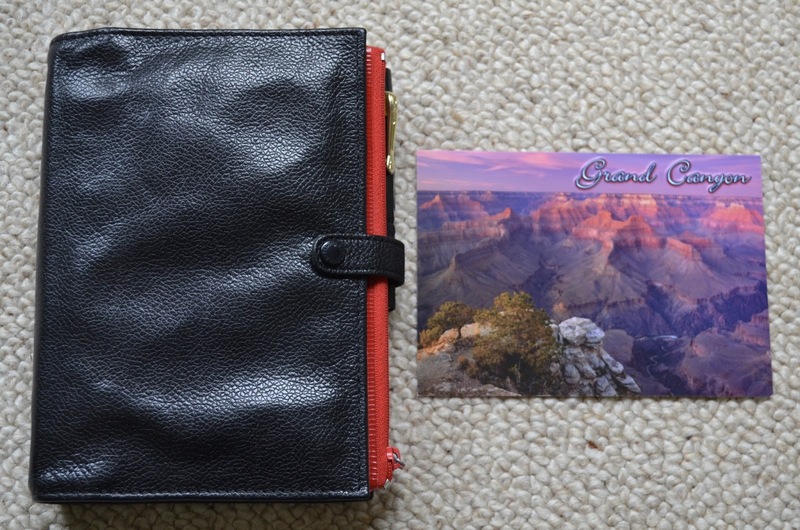 I think you would need a bag of the next size up for an A5 Filofax. 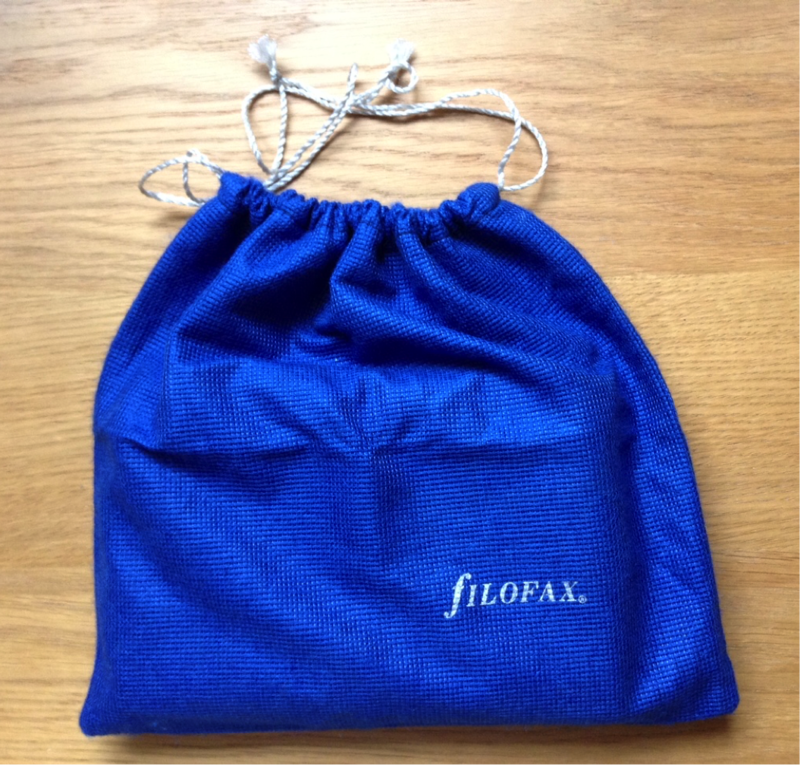 I reckon if items like handbags deserve a protective outer for storage, then so do Filofaxes. There are a variety of bags at reasonable prices on Amazon too. This is a very special Tuesday. 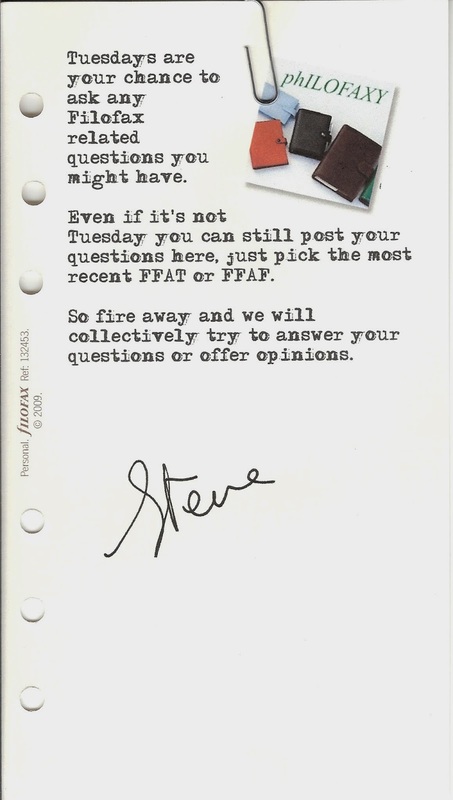 Why you might ask..... well it was ten years ago that Nan first appeared on Philofaxy with her 'Reporting for duty post' but the post the previous day announcing her arrival is also worth a read as well! If Nan hadn't stepped in to the breech then we might not still be here.... Thank you Nan! I'm sure she will have something special to say about the last 10 years on Free For All Friday this week! I think that sometimes, like Goldilocks, we need to try out a number of things to find something that is 'just right' for us. As per my previous posts here and here, I had planned to keep a small number of binders (A5 Ascot, personal Dundee and vintage Coach). However, after signing up to an online decluttering course it occurred to me that owning more than one just makes me feel a bit crazy. It felt like a proper Eureka moment, and I'm not sure why I've persisted so long with something that doesn't match what my minimalist heart longs for! I think that I was more excited about selling them all than when I first purchased them... which definitely shows that it's the right choice for me. Whilst the Dundee is a wonderful Filofax, I started thinking about the Kensington that I previously owned. Since purchasing it back in 2014, it's belonged to three different members of the community in the US. On the off-chance, I contacted the lovely Deb to say that if she ever changed her mind about it, then I would happily buy it back from her. Her response was, "Hi Anita, I don't intend to sell or trade the black Kensington, but I would be most happy to return it to you. My treat. I just need your address'. How kind and I love being part of such a lovely community! So, what's so great about the Kensington and why this particular one? I'd looked at some for sale on eBay and they just looked a bit too new for my liking. 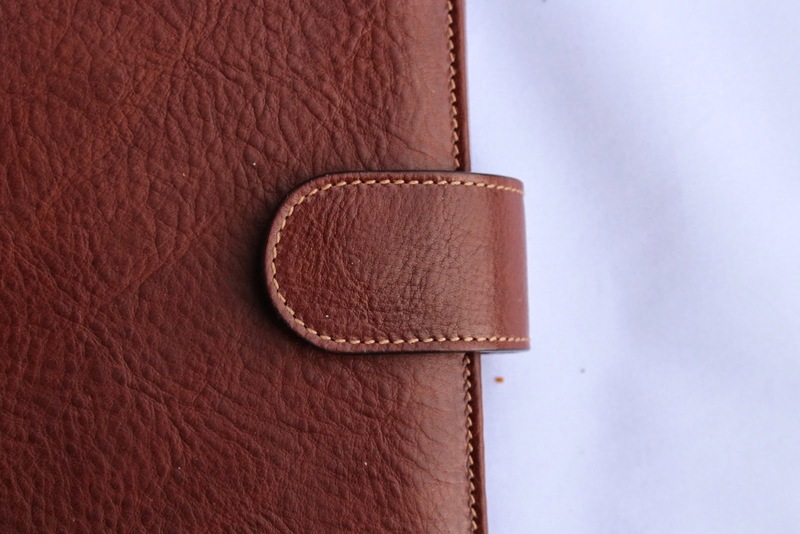 I love how this one has aged so that the leather is very soft and a bit puffy (as you can see where the front doesn't look flat). 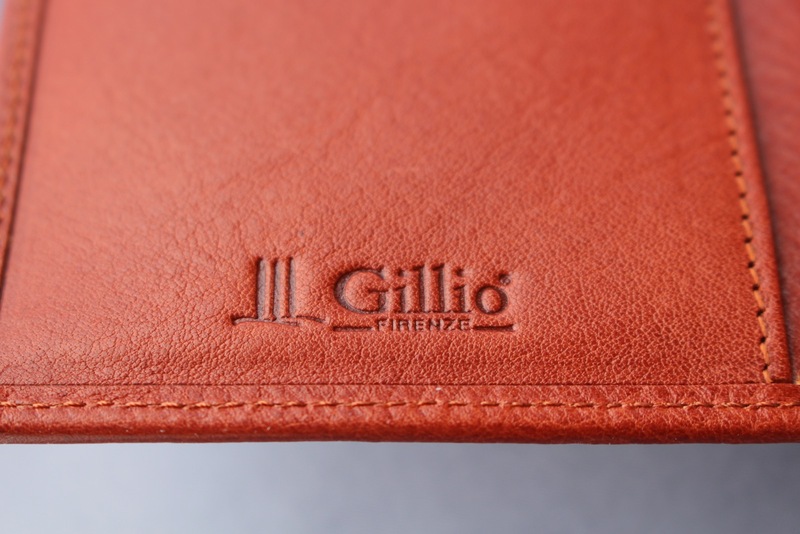 Most important Kensington qualities - soft leather, slim profile, design simplicity, light to carry when full, layout that can be used as a wallet and lies flat. Once upon a time I think I would've wanted something red, but nowadays colour seems to be less important to me than its function and tactile quality. Due to the softer construction, it holds more than the Dundee but has the same ring size. My selling spree was so successful that I ended up owning zero binders for a short while (very weird), so I've been using a pocket Moleskine in a Raydori cover that Ray kindly gave to me. For project planning, I purchased a cheap A4 spiral bound project book (with handy movable dividers) and I am very much enjoying the extra page space that I've gained from moving up from A5. I haven't quite moved back into the Kensington, but I'm looking forward to the flexibility that comes with using a ringed binder. I will be using the same set up again and I guess that it feels like coming home. 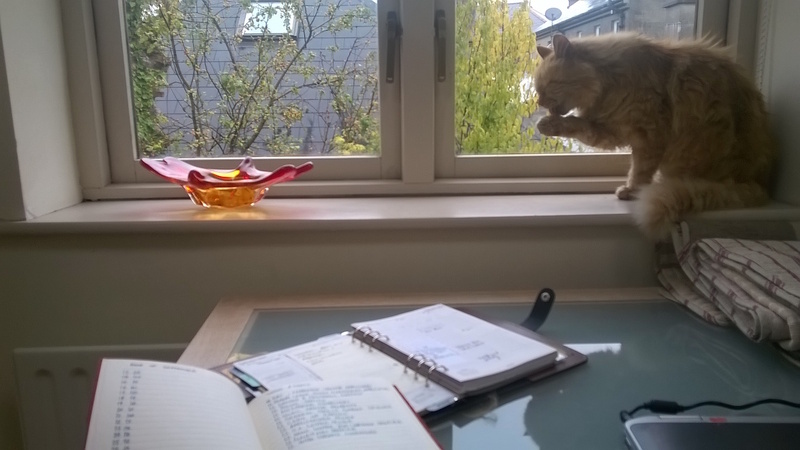 This week I would like to welcome Elena to share with us how she uses her organisers. 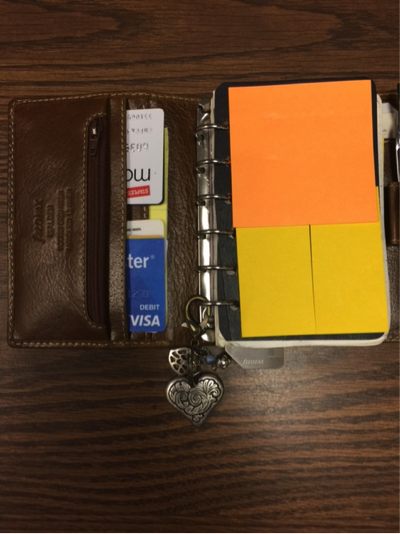 But while I utilize the original Bullet Journal system at work, my personal, household, wallet and business are all mapped out, planned and managed in a Filofax Pocket Malden that I’ve been using steadily and happily since the beginning of the year. 1. When did you start using an organiser? Ever since I happened upon a 1995 article in Mademoiselle called ‘Happiness Is A Worn Filofax’. I had just found my first planner that happened to look exactly like the one in the article, on a clearance table at TJ Maxx. I tore the article out for reference and kept it in the pocket of my new planner for reference and inspiration until it fell apart! I’ve been hooked on ringed planners ever since! 2. How has your use of an organiser changed over the years? Up until 2014, I’ve had kept the same layout: 3 business card inserts followed by week-on-2-pages, followed by a small notes section then A-Z tabs last. Mind you, we didn’t have smart phones back when I began using a planner so there were no cool ‘apps’ to capture business card info and store contacts. 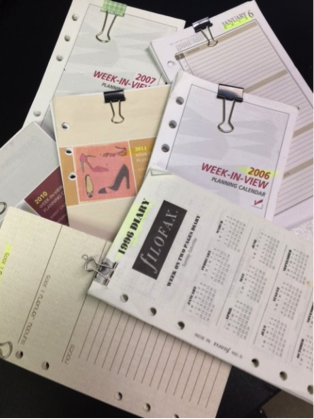 Even when I did begin using one, I still kept that information in my planner because it was how I was used to accessing it. It wasn’t broke, so I didn’t fix it! But between July 2014 and late 2015, I got bit by the bullet journal community bug, I put my ringed planner aside and took up a notebook. Though I love the system and the simple way of managing bulleted tasks (which I still use), I needed the structure of dated inserts for planning. Long story short, 1/1/16, I went back to rings, though I still adopt some of the bullet journal functions in my planner pages. 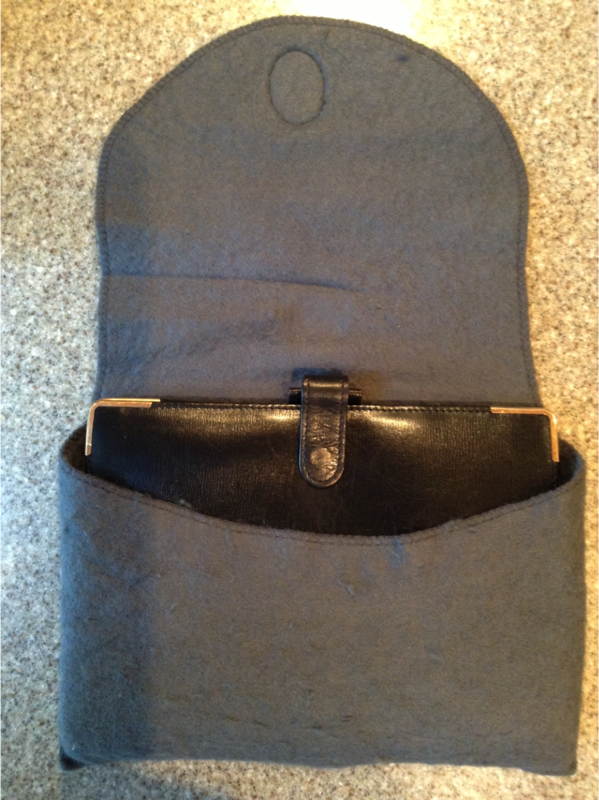 After using mainly personal-sized since the beginning, I decided to attempt downsizing to a pocket. 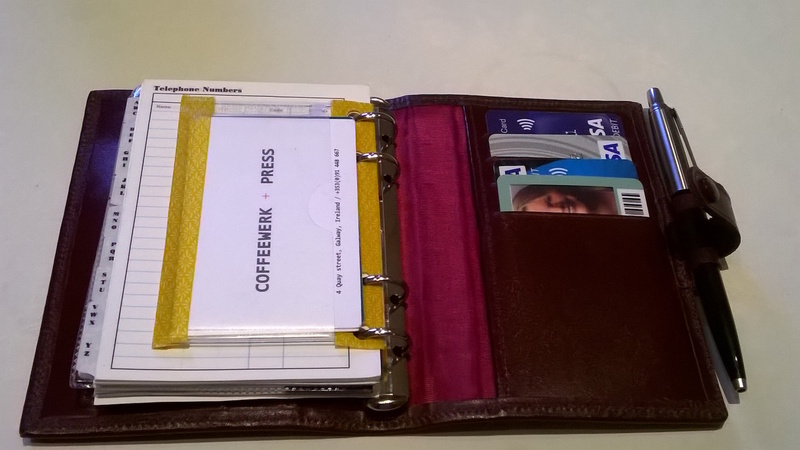 I won a Filofax Pocket Malden (pictured above) in an eBay bid for 50% of the retail price! My goal for the new year was to be more focused and a smaller footprint forced me to put only what was necessary in it. I also have it double as my wallet, keeping just a debit card, insurance card, license, paper money and coins in it. The setup has been working wonderfully and am very comfortable using it. The Malden is really a joy to hold! I had to look for another option. I was greatly inspired by a video from Kent From Oz how he uses a Moleskine Pocket Weekly Diary in his Filofax. The pages were a week-on-1-page on the left and lined on the right for notes. The dimensions were much larger than the inserts that came with the Malden, but fit perfectly inside. Whereas Kent hole-punched the entire diary (covers and all), I (carefully!) deconstructed mine and hole-punched only the pages I wanted. I can keep all of 2016 inside which allows me to future plan all pertinent dates, events and recurring tasks through the end of the year. Now, I can’t imagine ever going back to a week-on-2-page format! 4. What other information do you keep and maintain in your organiser. 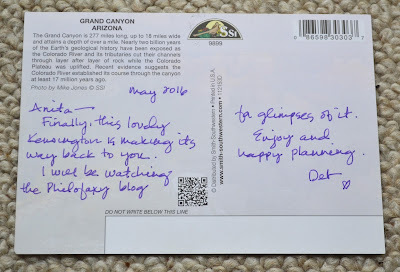 Besides my diary inserts and wallet essentials, I have a small, expandable file pocket to hold receipts and another (which I removed from inside the back cover of the deconstructed Moleskine diary) that I keep postage and return address labels in. I revamped the 1-6 tabs that came with the planner and made A-Z labels. After enduring the anxiety of having lost my iPhone 2 weeks before Christmas, I had to reconstruct all my contact info (I hadn’t backed my phone up to iTunes or iCloud - ::hangs head in shame:: ) I used the tiny contacts pages that came with the planner to keep names, numbers, etc. in case I’m ever without my phone and need something. Lastly is the top-loading plastic sleeve that came with the planner. I used to keep the postage and labels in there, but since moving those over to the expandable pocket, I put gift cards, business cards, etc. in here. The slots in front are for my wallet items only. I even took off the black front cover of the Moleskine diary, trimmed it down, hole-punched it and it serves as my dashboard where I keep sticky notes. Just the basics, as I really can’t over-stuff this little guy. 5. 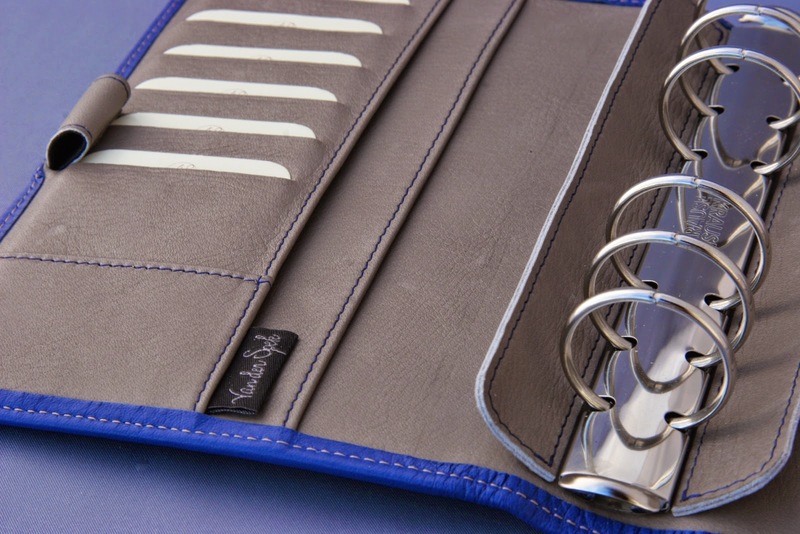 Do you use a 'system' of organisation, and how does it work in your Filofax? Since I’m able to keep an entire year’s diary inserts in the planner, I’ve recorded all important dates through the end of the year. Birthdays, anniversaries, daylight savings time, tax filing deadlines, mortgage debit, trash night – I plunked them all in. It took some time doing, and it was easier with the pages out of the rings, but – unless something changes – it’s a relief to have it all logged through the end of the year. I don’t have anything going on that would require me to plan past 12/31/16 at the moment. 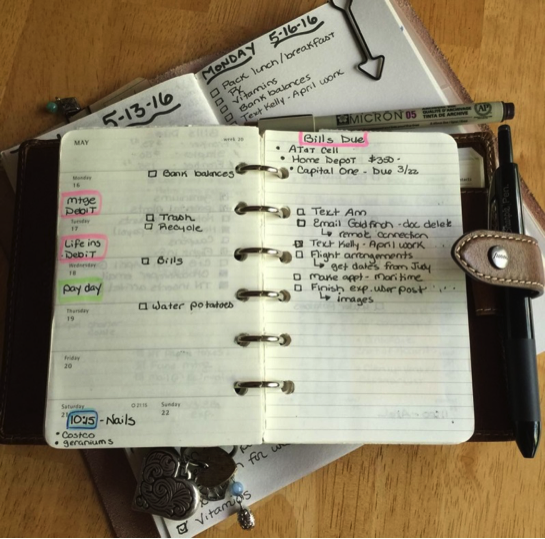 The week-on-1-page with notes is the heart of the planner. 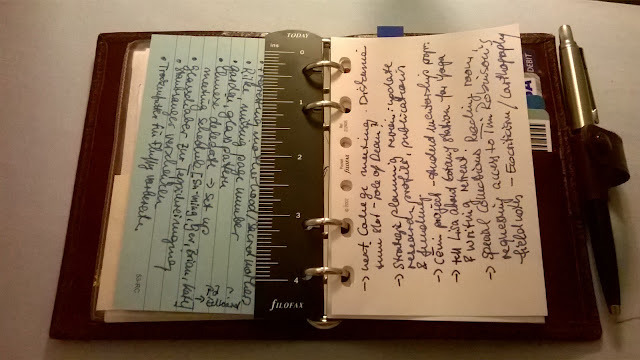 When I had been using larger inserts (or even bullet journaling in a notebook) I had oodles of space. It allowed me to be very detailed, but also turned my pages into an (organized) mess. Having every square inch of my inserts filled did not fool me into looking more productive. By downsizing my planner, I also had to reduce what I put into it, as well as how I wrote things in. Lately, I’ve been condensing and abbreviating when I remember to. I don’t have to write ‘buy birthday card for Greg’, but rather ‘b-day card-Greg’ or ‘email Kelly for April bookkeeping work’ can be replaced with ‘@Kelly-April docs’ I realized I didn’t have to spell everything out in full, grammatically correct sentences – just in a way that made sense to me in order to get it done. I also keep the setup in the same order as when I began it in January. Dashboard with a few sticky notes on it, pocket with postage/labels, diary inserts, A-Z tabs, receipt pocket then plastic top-loading insert. The back slot just holds extra inserts and pen loop holds a retractable Sharpie (hooked on the outside) Keeping my system functioning smoothly means keeping it familiar and simple. 6. What routines and structures do you use? Because it’s also my wallet, it’s open when I’m making a purchase so as soon as I’m handed a receipt, it automatically gets put into the receipt pocket right after I slide my debit card back into its slot. Once a week, I take the receipts out to post to my discretionary spending tracker. I usually write ‘Post Receipts’ in the notes section (right hand side) as a reminder. Tasks such as these which are not time/date sensitive, but I would like to get to that week, are put on the Notes side, bullet journal-style. I use an open checkbox designating a task to be done, color it in when it’s completed, x it out if it doesn’t need to be done, or use a right arrow showing that it’s been migrated elsewhere. 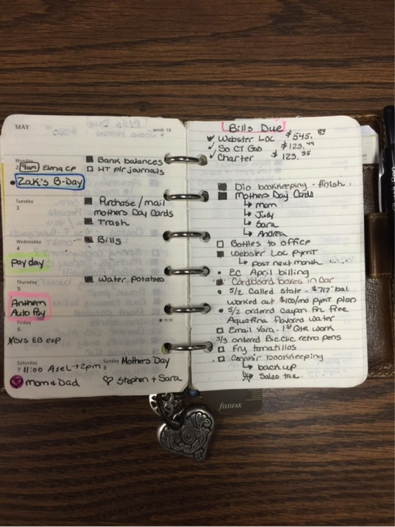 Those are the only facets of the bullet journal system I use in the planner. At the very top of the Notes section, I reserve a few lines to list Bills Due (outlined in pink – softer than red) that week (Wednesday is bill-payment day) I write the name of the bill, the amount and the actual due date there, always being sure that they’re paid whatever Wednesday is before the due date. Below that are tasks that I’d like to get to that week or had already been previously logged there to be done that week (example: in March I remembered to schedule my annual dermatologist appointment for July so, first week of July, I have a ‘schedule derm appt’ task bulleted in the Notes section since it isn’t time-sensitive – just should get done that month. I add anything else that comes to mind that I’d like to tackle this week that, again, isn’t time sensitive. If it doesn’t get done, I’ll either migrate it to another week or x it out altogether. 7. Do you use one binder or several, and if several, how do you use them? Because there are days (well, every day actually!) where more comes up other than what’s in my planner, I use a companion notebook to create daily pages. 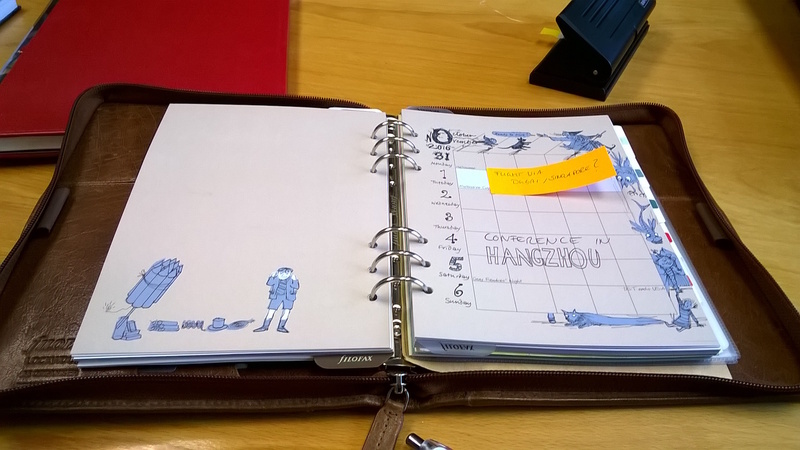 I was gifted a lovely Linshi Tasks traveler’s notebook that holds a blank and lined insert. The lined one holds long-term lists and projects while the blank one is used for daily pages, notes and journaling. Once this is full, I have a grid insert (because I love grid!) ready to take its place for tasks/notes only as I want to keep journaling separate. How I work this is that, usually the night before, I check my Filofax planner to see what’s on the agenda for the next day. I then scan the right side for anything on the ‘want to do’ list to see if I’d like to attempt getting it done. Everything is then transferred to a daily page in my insert. The planner goes back in my bag while the TN stays pretty much open on my desk (another reason I want to move the journaling out). Because my planner also doubles as my wallet, I feel better leaving the TN out and open instead (even though I’m the only one in the office when the boss isn’t traveling). 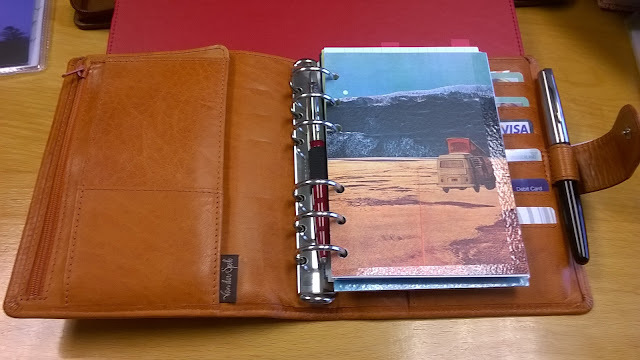 Using the TN as a ‘working journal’ of sorts allows my Filofax to maintain its use without changing it up or adding too much to it. This is where the consistency of the setup and keeping it uncluttered has helped me to focus on what’s important. Filofaxos angol rövidítések és jelentésük magyarul - FilofaxNi! Miért válaszd a filofaxot? 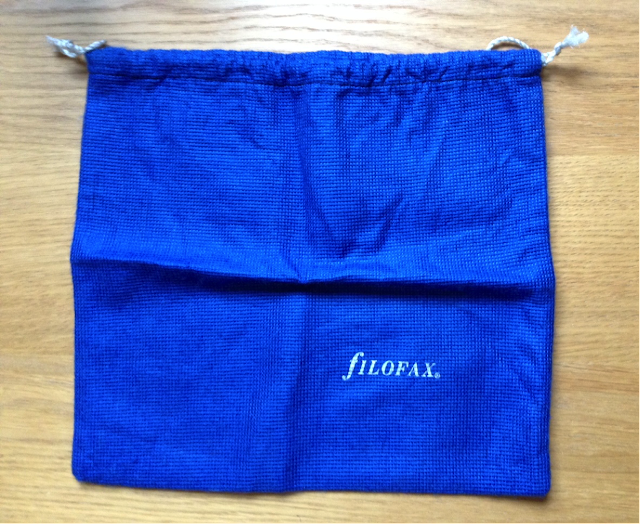 - FilofaxNi!